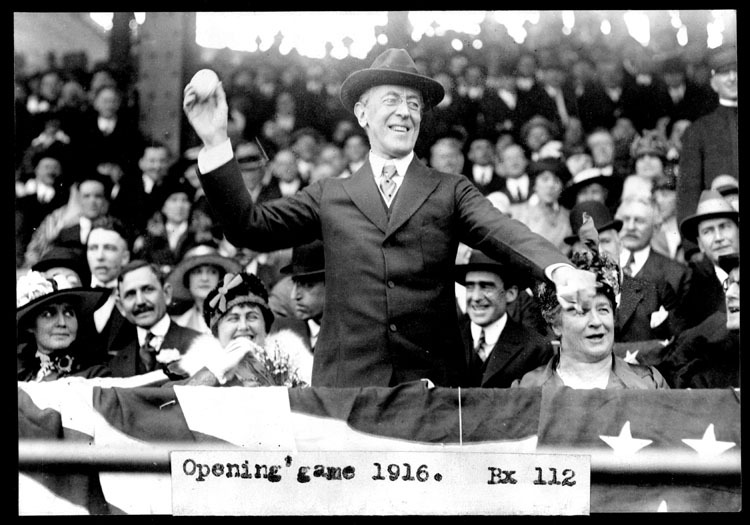 image: Wilson opening day 1916 from the Wikimedia Commons. Public Domain. Attended the Cubs game today. Was a little chilly, but good overall to be outside, enjoying myself. Also I’ve joined a fantasy baseball league for the first time in many years this season. We’ll see how it goes, I’m excited to have Tim Lincecum on my team. I’m working with of my opposing managers to develop a fantasy baseball course for the next run of the Peer 2 Peer University. Copyright (C) 2011 Charles Jeffrey Danoff. Creative Commons Attribution 2.1 Japan Licensed. This entry was posted in Season 2 and tagged baseball, baseball 2011, cubs 2011, fantasy baseball, fantasy baseball 2011, p2pu, snake drafting 101, tim lincecum. Bookmark the permalink. Charlie: I loved the picture. Love ya!